The Islander Resort Hotel is a little different to other hotels on the Gold Coast. We are proud to be a 100% Australian owned and operated and have been operating under the same management since 1992. We pride ourselves on providing a fun, relaxed environment for both our guests and staff. 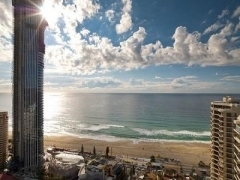 Introducing Hotel Grand Chancellor Surfers Paradise. Nestled amidst the beautiful beaches and thriving shopping, dining and nightlife of Australia’s Gold Coast, just 150 metres from the sand, this versatile destination blends especially personalised service with just the sort of casual atmosphere you expect from a beachside hotel.